Kokopelli Oval – 7055 Inc. 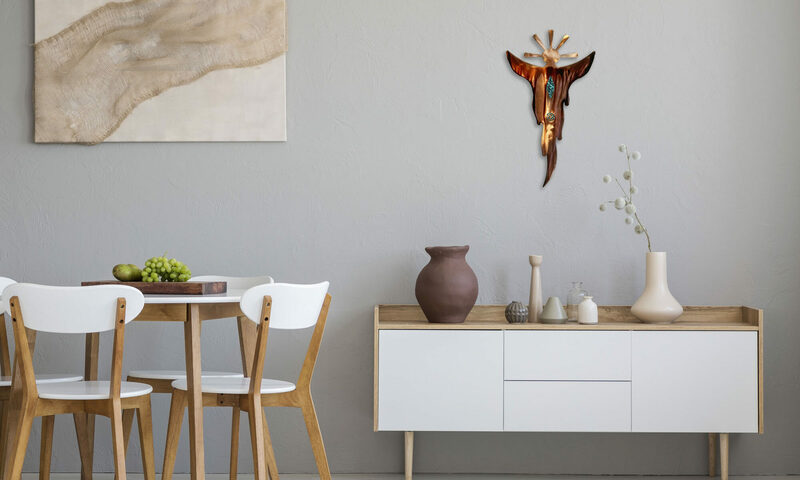 This little Dancing Kokopelli Oval Scene is perfect for a stand-alone piece on a small wall, or as part of a larger grouping of art. Available in a variety of finishes.